Driven by strong growth in retail sales and the entry of Millennials into the RV marketplace, Keystone RV Co., Dutchmen RV and CrossRoads RV announced a multi-million dollar commitment to delivering a superior customer experience spearheaded by the addition of the “industry’s best” 3-year limited structural warranty. The new warranty takes effect on units manufactured on or after Sept. 1. Keystone, Dutchmen and CrossRoads’ new warranty will cover the structural components of the RV including the roof, roof materials, installation, floor, walls, cap, internal framing and chassis. This will be in addition to Keystone’s base warranty during the first year of ownership. Dealers will be able to file warranty claims and get approval on-line with minimum effort using Keystone’s KeyExpress dealer management system. The company will also continue to serve as a “one-stop-shop” and handle most claims for vendor components rather than forcing dealers to deal with component vendors individually. It would be even better if it was retroactive. Stating something and doing it are two very different things ! That sounds very good, now we know they can talk the talk but yet to be determined if they walk the walk. I won't ever forget Andy Cripe's words (previous Redwood President) on video from the Rally several years ago when he was trying to justify the switch from 2+5 to just 2. He said the 5 year limited structural warranty was a marketing ploy and there were so many loopholes in that part of the warranty that he never had to cover anything if he didn't want to. I don't think it was a "warm fuzzy" I was feeling when he said that, rather it was something different. 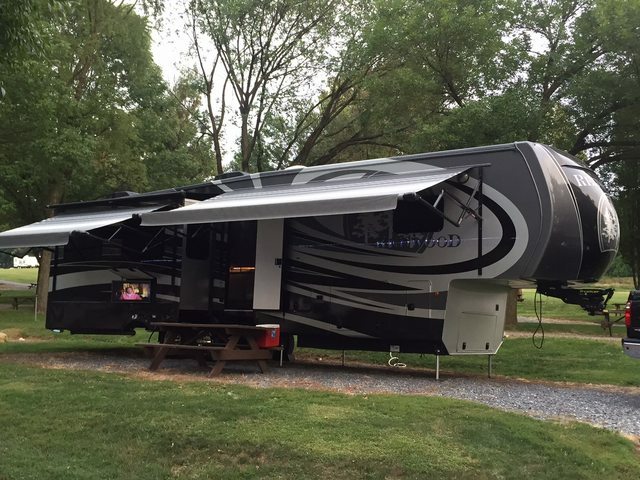 In my experience, Warranty has never been a happy thing, and the best RV years of my life were experienced after it was expired. As long as the dealer remains between us and the application of the warranty nothing changes. More marketing hype in my opinion. Closing the availability to the Factory Repair Center for those able to get there is a huge mistake. Unless they really put in an effort to improve their quality control infrastructure within the product design and manufacturing process, it is nothing but marketing hyperbole. The industry needs a lot of effort the areas of quality of design, better training, standard operating manufacturing processes, systems testing and real quality control inspection. If some real effort was done in these areas, warranty would not be all that important because warranty claims would go down along with warranty costs.